Wow! This debut novel, a psychological thriller, evoked a feeling of unease in me that only intensified as one page followed the next. It is 1920’s Prohibition-era New York City. The narrator, Rose Baker, works as a typist in a police precinct transcribing the confessions of gangsters and murderers. Rose is prim, proper, plain, and naïve, always following “the rules” and living a humdrum life. 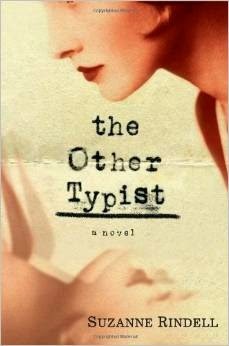 One day a new typist, “the other typist”, by the name of Odalie is hired and Rose’s life changes forever. Rose quickly becomes obsessed with Odalie, who is beautiful, elegant, sophisticated, rich, and...? I found the character development of Rose and Odalie to be excellently drawn and complex. Who really are these women? The reader never quite “gets” who the mysterious Odalie is, nor Rose either, for that matter. I loved the author’s description of New York City and the 1920’s – bobbed hair, speakeasies, bathtub gin, and the glamour. The reference to Clara Bow, an actress of the day, added to the authenticity. It was as if I time-travelled. The story is about obsession and what is truth, among other moral dilemmas. It left me guessing until the very end. It was a rollercoaster read of twists and turns that is not to be missed. Disclosure: I borrowed this book from my local library. I was not compensated in any other way, nor told how to rate or review this product.